Specialists, General Practitioners, Engineers and ..
Scientists print first 3D heart using a patient's own cells. It has working cells, blood vessels, ventricles and chambers. Researchers at Tel Aviv University managed to successfully print the first ever 3D heart that uses cells and biological materials from a patient. They'd be an alternative to synthetic vessels and transplants. It can differentiate between tumors and healthy brain tissue. "Telemedicine is the ability to provide interactive healthcare utilizing modern technology and telecommunications." 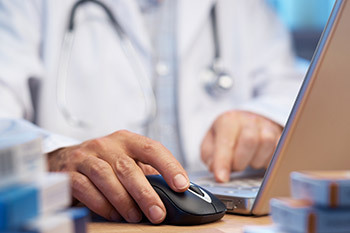 Basically, Telemedicine allows patients to visit with physicians live over video for immediate care or capture video/still images and patient data are stored and sent to physicians for diagnosis and follow-up treatment at a later time. Whether you live in the center of Los Angeles or deep in the Brazilian Amazon, Telemedicine is an invaluable tool in Healthcare. Copyright © 2015 Iranian Telemedicine Association. All rights reserved.